Memory foam mattresses and latex mattresses are becoming extremely popular because of their many benefits. Memory foam has been used in the medical industry for decades. Latex foam has been around since 1929, but has recently gained a lot of momentum. Customers are pleased with memory foam mattresses and latex mattresses more than traditional innerspring, air, or water mattresses. Although these mattresses are similar, there are also several differences. Latex foam mattresses are more resilient and have a higher elasticity than memory foam mattresses. Simply put, latex mattresses have a more ‘springy’ feeling to them, while memory foam mattresses are more solid-feeling. 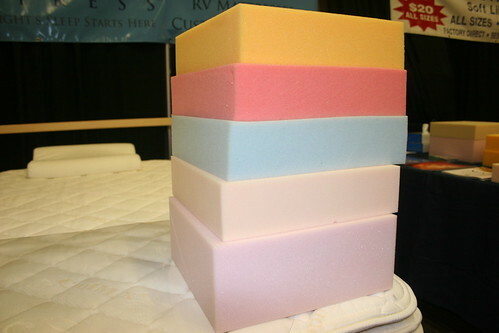 Latex foam mattresses have a higher responsiveness to them. It takes longer to change positions on a memory foam mattress because memory foam isn’t as responsive as latex foam. Latex mattresses are also manufactured naturally because latex is found in nature from the rubber tree. Memory foam is a chemically-produced substance. Latex mattresses are made from natural rubber trees while memory foam is created in a lab out of polyurethane. Because latex mattresses are organic, they are also naturally hypoallergenic, anti-microbial, anti-bacterial, and dust-mite resistant. Both latex mattresses and memory foam mattresses reduce pressure points significantly. Neither of these mattresses uses annoying springs or coils that can end up poking you throughout the night. Latex mattresses and memory foam mattresses distribute your body weight evenly. The distribution of body weight is the main factor for reducing pressure points. The main difference between latex foam mattresses and memory foam mattresses is that latex foam mattresses allow you to change positions and get comfortable faster than memory foam mattresses do. It doesn’t take long to get comfortable on a memory foam mattress, but a latex mattress lets you find comfort a little bit faster. Memory foam mattresses and latex mattresses are both extremely comfortable and have many great benefits. It shouldn’t be news to you that sleep directly affects your physical performance. If you aren’t getting the proper amount of sleep, you won’t be able to perform as well as if you did. If you are up tossing and turning all night, you won’t be as effective the next day. The key to getting enough sleep is having the right mattress. Survey respondents agreed that they are able to sleep better and longer on a new mattress, rather than an old one. Eighty-one percent of Americans admit that they wake up with neck, back or shoulder pain. The thing to keep in mind is that you don’t have to live like this. It is extremely smart to invest in a good quality mattress. You should be sleeping on a mattress that helps you sleep instead of one that causes you to toss and turn all night long. The BSC recommends that you evaluate and replace your mattress every 5-7 years to enjoy optimal comfort and support. Sleep does directly affect your physical performance. If your physical performance is severely lacking, you might want to take a look at the amount and quality of sleep that you get. Don’t you want to know the secret to improve your quality of sleep? By improving the quality of sleep you get each night, you can increase your level of productivity. As your productivity increases, your quality of life will also increase. It’s simple. Just follow these five easy tips. 1. Pay it out. Don’t shortchange your body when it comes to sleep. For every 30 minutes of sleep that you lose, your sleep debt increases. As you accumulate more sleep debt, you will begin to see and feel the short term and long term effects. Not getting enough sleep affects your mood, your heath and your overall performance. The average person needs about 8 hours of sleep every night. The ideal amount is anywhere from 7.5 hours to 8.5 hours. It is important to get the same amount of sleep every night so that your body can get acclimated to a normal schedule. 2. Evaluation time. Do you remember when you had to fill out performance evaluations for your professors when you were still in school? Well, it’s time to go back to the performance evaluation basics. Except, this time you won’t be evaluating your professors…you’ll be evaluating your performance. Also, evaluate the performance of your mattress. Although physical signs may not be evident, think about how it affects the quality of sleep that you get. Is it as comfortable as when you bought it? Does it still support your entire body? The age of your mattress directly affects the quality of sleep you get. 3. The bedroom. Your bedroom should be used for certain things, and certain things only. Keep this room uncluttered and free of “knick-knacks.” Don’t use your bedroom for other purposes like folding the laundry, a second office, etc. In order to provide the ideal atmosphere for sleeping, your bedroom should be a warm, inviting and relaxing space. 4. No more caffeine. Studies show that caffeine directly interferes with “getting a restful night’s sleep and waking refreshed in the morning.” As you begin getting ready for bed, stay away from anything with caffeine in it. This includes chocolate, tea, coffee and soft drinks. 5. Invest. One of the most important investments you will ever make will be your mattress. The average person spends approximately 1/3 of his/her lifetime asleep. Don’t scrimp when it comes to a good quality mattress. Choose a mattress that is completely comfortable and supportive for your individual body. Spending more money on a good mattress will provide you with health, happiness and productivity. Getting a good night’s sleep isn’t hard anymore. Simply follow these easy tips to improve your sleep and your productivity. For the most part, women feel that it is very important to stay healthy. A survey conducted by the Better Sleep Council says that more and more women are having an increased interest in the quality of sleep they get. These women feel that several things are central to overall health and well-being including: a proper diet, exercise and a good night’s sleep. Although many woman are taking more of an interest in sleep, most women are failing to get the amount and quality of sleep that they need. Studies show that women are more sleep deprived than men. In general, women have a more difficult time falling asleep and staying asleep. 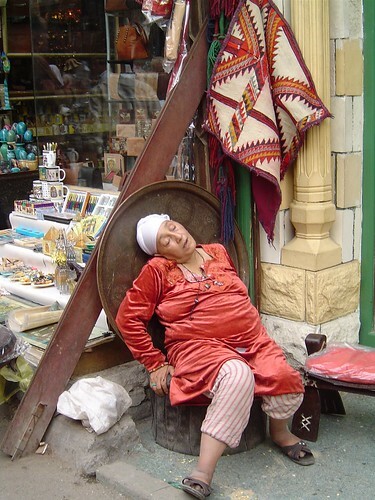 Women also experience more daytime sleepiness than men. Here are some surprising facts about women and sleep. Studies also show which women are the worst sleepers. Did you ever think that where you live affects the amount of sleep you get? The Better Sleep Council has found that women who live in the Northeast and West Coast regions of the United States have more trouble sleeping than those people who live in other regions. Professional woman actually sleep better than women who work inside the home. In fact, women who work inside the home are 8-points more likely to get less sleep than they need. Professional women are actually the most likely to get a good night’s sleep. Women who are in the minority have more trouble sleeping. Hispanic women were 5-points more likely than White women to report not getting enough sleep. African-American women were 14-points more likely than White women to report not getting enough sleep. As a woman, it is so important that we get the quality of sleep that we need. Our lives, productivity and relationships depend on maintaining a balanced lifestyle. A balanced lifestyle does include: a balanced diet, exercise and getting a good night’s sleep. 10 Celebrity Insomniacs and their home remedies to sleep better. As a society, we try to relate to famous individuals. Everyone can relate to someone famous. What if you could relate to a celebrity but it wasn’t necessarily for a great reason. Check out this list. Here are the top 10 celebrities and their home remedies to sleep better. 1. Marlene Dietrich (actress)-Ate a sardine and onion sandwich on rye to sleep at night. 2. Amy Lowell (poet)- Often reserved 5 hotel rooms but only one to sleep in. She would make sure that their were empty rooms on either side of her, above and below to ensure absolute quiet. 3. W.C. Fields (actor)-Sometimes, he could only fall asleep under a beach umbrella that was sprinkled with a garden hose. 4. Alexandre Dumas (author)-He took late-night strolls to cure his insomnia. 5. Judy Garland (actress)-She had been prescribed amphetamines as a teenager to control her weight. She took so many of these that she often would be up for three or four days straight. She eventually died of a drug overdose. 6. Tallulah Bankhead (actress)-She hired young girls to keep her company and hold her hand until she fell asleep. 8. Theodore Roosevelt (U.S. President)-He would take a shot of cognac in a glass of milk. 9. Groucho Marx (comic actor)-On his sleepless nights, he would call people up in the middle of the night and insult them. 10. Mark Twain (author)-When he was staying as a guest at a friend’s house, he threw a pillow out of the window. 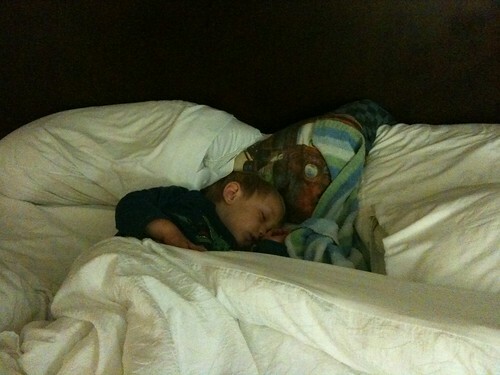 He was able to finally fall asleep once the crash let in what he thought was enough fresh air. In the morning he found out that he had broken a glass-enclosed bookcase.